Following a competitive tendering process Lichfield District Council and Tamworth Borough Council’s Joint Waste Service has selected Specialist Fleet Services Ltd (SFS) as its chosen vehicle provider for the shared waste and recycling service to homes across Lichfield, Burntwood, Tamworth and surrounding areas. 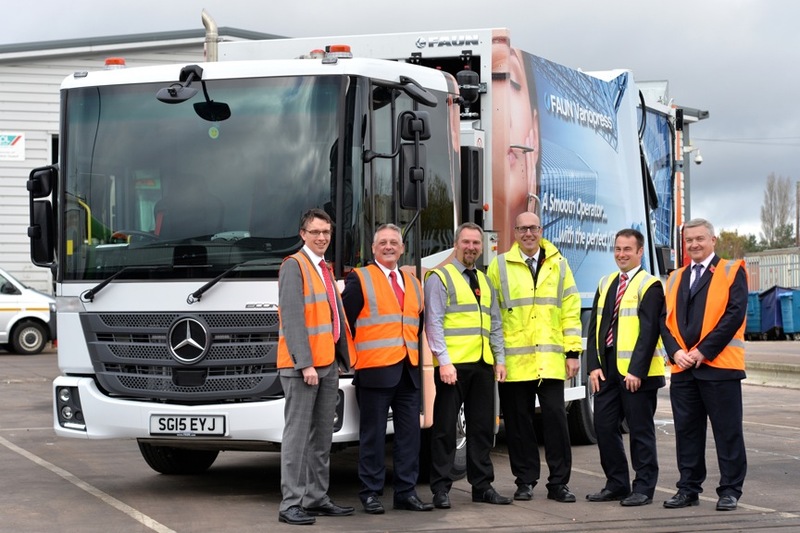 The six-year contract hire agreement will start in February 2016, with an option to extend for an additional six years and involves the provision of 22 vehicles for the councils’ shared Joint Waste Service’s refuse, recycling and street cleansing fleet. The new vehicles will comprise 18 x 26- tonne Mercedes/Faun Refuse Collection Vehicles (RCV), three DAF/NTM and one Mitsubishi/Faun 7.5 RCV. The Authority is hoping for better fuel efficiency and is using a shorter wheel based vehicle for easier access to new housing estates. SFS will also be carrying out maintenance on the Councils’ vehicles via its existing site workshops. Specialist Fleet Services Ltd (SFS) is a vehicle and plant solutions provider and partner to the waste management sector. Established in 1992 and with its own network of workshops SFS offers the complete range of vehicle hire and fleet management services to both the public and private sector, including vehicle maintenance, workshop management, service scheduling, certification, accident management, breakdown support, driver training, fuel management, vehicle disposal, technical advice and consultancy. Collet Transport Services (CTS), a leading municipal vehicle spot hire company is also part of SFS and offers short to medium term vehicle hire and maintenance services.